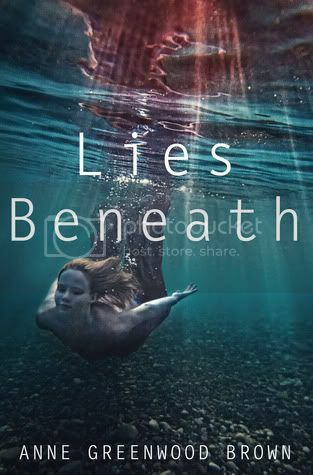 I was really looking forward to starting Lies Beneath, as I had read another mermaid novel previously and really enjoyed it. I haven’t read many novels about the subject, and I was curious to see how this book would compare. I definitely was not disappointed. Lies Beneath is told from the viewpoint of Calder, who is a merman. I haven’t read many books from a male’s point of view, but I found it to be very interesting. To be honest, I didn’t think I would like Calder very much at first. It kind of bothered me the way he talked to Lily, it came off as a bit condescending. That always really bothers me. However, he does redeem himself a bit by the end of the book. Lily is Calder’s love interest in the story. She’s very smart and strong willed. The thing that I liked most about her was that she didn’t fall head-over-heels in love with Calder right off the bat. It was definitely a relationship that grew, and mostly it grew from Lily’s uneasiness with Calder. It was nice to not have an insta-love relationship for a change. Most of the secondary characters I really didn’t care for. Especially Calder’s sisters, Maris, Tallulah and Pavati . They were pure evil, and they had no second thoughts about killing innocent people, unlike Calder. These girls are ones that you are definitely going to love to hate. I really enjoyed the storyline for the book. It had a bit of a darker plot to it than I expected, but that just kept me turning the pages. The ending of the book closes nicely, and not on a cliffhanger, much to my enjoyment. Instead it ends on a promise that will get to meet the characters again soon. I’m really looking forward to it! Overall, this book was completely different than what I expected. I read it while sitting by the pool, and found it to be a quick, enjoyable read. If you like mermaid books, you should definitely add this to your list. I don't mind quick and enjoyable, especially because it's summer. But mermaids haven't been very good to me so I'm not sure this is one for me. Great review, though! I've been wanting to read a mermaid book for a while and dark is totally my game. I may have to check this one out! Dark mermaids... That definitely sounds intriguing to me. I may just have to give this one a try! I can't say that heard many positive things about this one. My friends have been telling me that some of the plot developments were rather random or simply weird, and I am a little bit surprised by the cover, too. It is, after all, a book about a merman, not a typical mermaid book. I have an ARC of it, but haven't read it yet (it wasn't given to me for review, so I don't really feel obliged to). I don't think I'll be picking it up anytime soon. Your review is, as always, great, detailed and very classy! :) Great job! I definitely enjoyed LIES BENEATH as well and while it's not one of my favorite books, I'm looking forward to spend a bit more time with these characters in the future. I'm glad you liked it and thanks for sharing your point of view with us. As always, great review!